At Master Mechanic High Park, we love connecting with the community in various ways. Through neighbourhood events, our messaging board, sponsorship, and charity outreach, we’ve made it our mission to make a difference whenever we can while spreading positivity! As members of the Parkdale-High Park Community for nearly 20 years, we’ve had the pleasure of meeting incredible and inspirational people. 2-year-old, Clara Rempel Segal and her family, are certainly some of them! 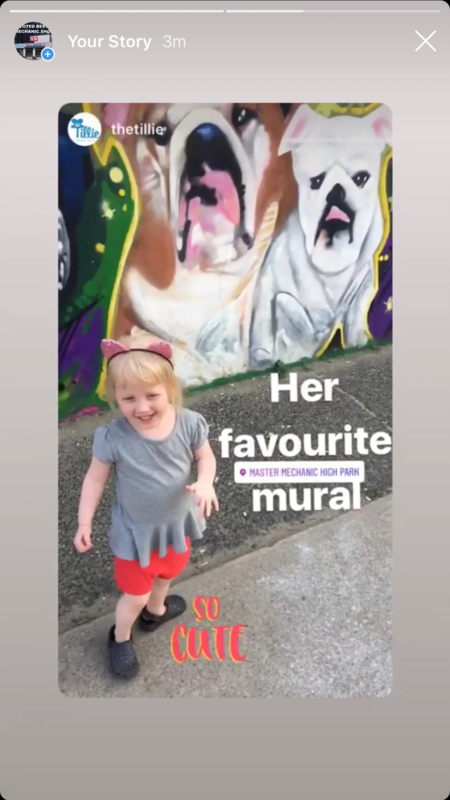 They frequently stop by Master Mechanic High Park to see the cars and bulldog on our shop mural that Clara loves so much, and to say hi to the everyone. Clara was born in October 2015 and is one of the brightest, happiest, cutest children you will ever meet! She was also born with cystic fibrosis. Did you know that an estimated one in every 3,600 Canadian children is born with cystic fibrosis? We’re very optimistic about future advances – and you can help find a cure. 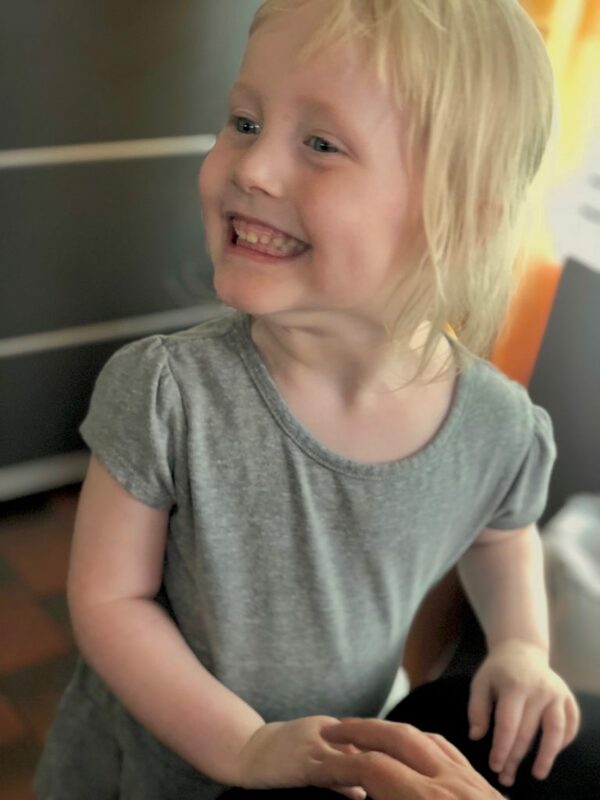 In response, Clara’s family is organizing its third annual Tillie Memorial Golf Tournament to raise much-needed money for cystic fibrosis research. The “Tillie” golf tournament is named in memory of Clara’s great-grandmother, who passed away the day following Clara’s birth.Tillie Sheppard–or “Baba” as she was affectionately referred to– had a big personality and a big influence on many people that had the pleasure of meeting her. Sadly, Clara was not one of them, but “Baba’s” memory and gift to Clara live on through the Tillie tournament. Master Mechanic High Park is a proud sponsor of the Tillie, which will be held at Station Creek Golf Courseon Friday, September 14, 2018. We invite you all to attend and help support a fundamental cause! Global News Chief Meteorologist Anthony Farnell, who was the Tillie Golf Tourney’s inaugural emcee in 2016, will be returning again this year!The event will begin with registration and a light breakfast at 8am, and the shotgun will start at 9am. Food will be served throughout the day, including an on-cart lunch and a BBQ dinner for all attendants afterwards. The $250 single player registration fee includes green fee, power cart, the 3 meals, and a tax receipt for the charitable portion of the ticket. There are also many other ticket options for groups, or those only interested in attending dinner. Fancy yourself a pro? There will be a prize table with awards for things like longest drive and closest to the pin–so be sure to bring your A-game! A silent auction will also be held with some awesome stuff up for grabs like Yoga at Moksha, gift cards to Village Juicery, a VIA Rail travel voucher, and much more! 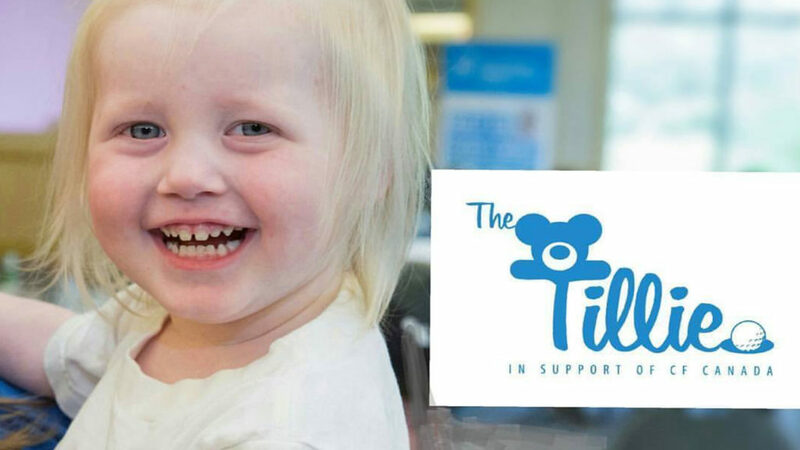 Over the last 2 years, the Tillie has raised $64,000 in total thanks to its amazing work, supporters and donors! This year, Master Mechanic High Park will be in attendance, and we really hope to see you there, too! For a full list of sponsors, itinerary, prizes, and to learn more about the Tillie, please like their Facebook page.